1. Why did Two Barristers approach a resource management Law clerk who was working for brookfields from home for legal advice ? 6] In 2006 Vivienne Holm worked at Brookfields as a law clerk. She did not have a practising certificate until 15 August 2006 when she became an employed solicitor at that firm. At that time she was married to Mr Nick Wright, about whom Mrs Haden has also complained, and came into contact with Mrs Haden because she knew Neil Wells. 2. In her complaint to the Private security Licencing authority Holm claims “First, I held a practising certificate throughout 2006 as confirmed in the email from the NZLS attached annexure H.
I stand by my Enquiries at the time and the findings that the law society came to, ie that you were a law clerk and did not hold a practicing certificate until august I cant see what the big deal is other than that you too can see that there is no logic in two barristers instructing a law clerk. the email copy which you sent is not evidence , it is hearsay and therefore rejected . Why do you consider this defamatory when the evidence speaks for itself . 4. in the emails mentioned above you say ” I simply wish to alert you to the fact that in my view your registration of the name “AWINZ” and your website are illegal.” what is the basis for this ? we proved through registration and our website clearly proved that we had incorporated to prove that the AWINZ with law enforcement authority did not exist , this was of major public interest. 6. in december 2017 you again contacted me again you made threats against my PI licence , why make threats when if something had been lost in interpretation with net safe and myself it could have been resolved with simple non threatening communications, each time you come at me in the most aggressive manner . Every contact contains a threat of one sort or another . Despite a most civil response and the promise to provide clarification you made a complaint to the private security licencing authority alleging very serious wrong doing for which you did not provide any evidence . 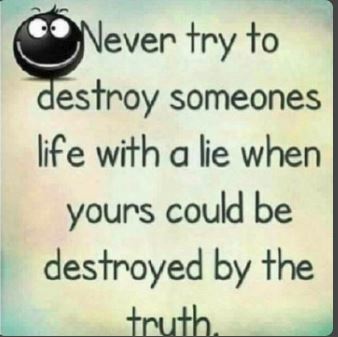 May I remind you that defamation is a two edged sword and at this stage it appears that I have the evidence that you have been defaming and blackmailing me To tell someone to change the name of a legally formed trust or risk losing their professional licence is black mail I have the evidence that I have been speaking the truth . The fact which matters is that AWINZ the approved organization was not the same as the trust which you claim you were instructed by. Why was Wells claiming that AWINZ existed in 1998 , if it existed it could have incorporated 10 times over , but he was using his position as advisor to the select committee to feel every one so that he could make a fraudulent application to the minister. It is this fraud that you have strived so hard to cover up , I can prove it and I welcome your defamation action to prove the truth. the reality is that due diligence would have prevented 12 years of hell for me. Last time you initiated definition proceedings with your then husband Nick never proved the content of the statement of claim, it is full of lies and seriously misleads the court , you had my defence of truth and honest opinion struck out so that you could win. (d)the obligation to protect, subject to his or her overriding duties as an officer of the High Court and to his or her duties under any enactment, the interests of his or her clients. Sent: Sunday, 18 March 2018 5:09 p.m. I am happy to make any corrections and will update the posts using your emails as reference. I am happy to resolve anything but I suspect you are looking for a fight . I cannot understand why you think that a simple letter can over turn the findings of the law society committee , and you call me unhinged !!!! I will welcome your defamation proceedings it will once and for all blow the lid on AWINZ . This is nothing more than vexatious you have built up to this over the years probably because you see this way of getting some money due to all your pro bono mindless work. Why would two barristers instruct a law clerk working from home and why did you tell Sally Quigley that you were a law clerk. Open some of the evidence on the site Vivienne look at it do your job you have been covering up for a fictional organisation by consistently attacking me . I will have no reason to blog about you and AWINZ once the attacks on me stop. I have the evidence , I will be asking for security for costs and I will get a top lawyer so be prepared . Who is behind the attack on Paula Bennett ? I was sent an email a few days ago , it drew my attention to the filthy letter which had been posted by someone and attacking Paula Bennett, the letter was allegedly written by one Ashley Farrell and was nothing more than a verbal attack and provided no evidence of any alleged wrong doing other than the writers say so . It appears that no attempt has been made to deal with these historic allegations through any accepted means and to me they appear to be nothing more than what I expect to be one of many attacks on National . 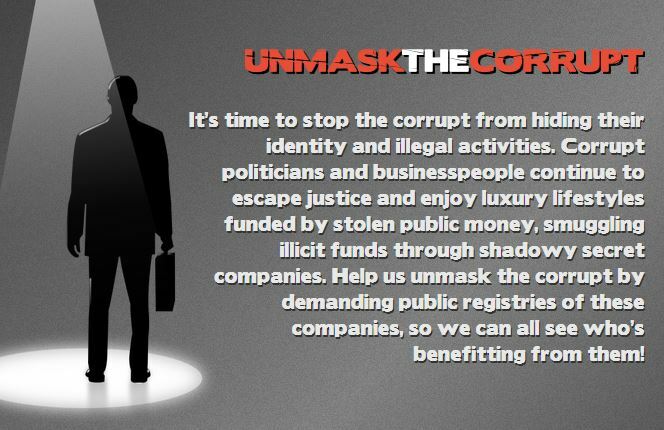 The web site behind this appears to be http://mediawhores.co.nz, this site was originally set up in 2012 as part of the occupy auckland movement . the address of the registrant shown at that time was aotea square. At about that time I was being defamed by a Suzie Dawson who also ran a website registered to aotea square , I asked her to remove the content and she responded by making false allegations to the private security authority alleging that I was stalking her and her daughter. The last I heard she was in Russia and now from the safety of russia , has taken over as the so called leader of the Internet party and thus far its only candidate . the company the web site is registered to is IP Phase 1 Ltd which according to the companies register was struck off 17 May 2017. as an Activist working for “TRUTH and JUSTICE ” Suzie you have bombed out rather badly here .Suzie Dawson on her Face book page posted this . He had a company WIRELESS MEDIA LIMITED this site is still live and is registered to Vocus Communications which is he same company as mediawhores is registerd to . The address for wireless media is 17B Farnham Street which appears to be a postal depot . Sarah Edmonds who resides in a hotel in Hamilton and used the same post office box company as her registered office . Knowing what I know about Suzie Dawson and her associates I would not be at all surprised if the current attack on Paula is being carried out through anonymity and stool pigeons by the internet party . It’s just my honest opinion, I can feel it in my bones and its something that I know Suzie would do after all she did it to me . Sent: Monday, 6 November 2017 11:20 a.m. It contains defamatory, misleading and false information. Cohen Glass works for Wireless Media. They are a client of ours and nothing more, just like the others. What they choose do with that domain name is none of our business. You have also tried to associate the company Ethos Media Ltd which is a separate legal entity altogether and nothing to do with media whores or wireless media. Thus you have completely made up that association. We have notified Ethos Media Ltd of this today also. And we certainly had nothing to do with the political take down of Paula Bennett. Please be formally notified of this defamation. You have 1 week to correct the information, or our next letter will be couriered to you and will be a demand/ claim for damages in thw vicinity of $100,000 (yet to finalized/ calculated). Could you also provide your full name and your association with the alleged defamed person / entity, we will be happy to receive your input and adjust the site appropriately . It would appear that wireless media is a trading name could you please advise the entity which uses this name , it is of concern to transparency that a fictional “ person” appears to be the holder of so many domain names , it may be something which we will have to take up with the domain commissioner. now I wonder who JIM could be . could that be Cohen James Glass???? Yesterday I was approached by Net safe , who on behalf of Vivienne Holm sought changes to former blog posts, they said that this was because Vivienne after holding a practicing certificate for the past 10 years suddenly cant get one because of something that was written many years ago* . Vivienne is seeking changes to the blog. We are happy to make corrections but there is nothing to correct . We are interested however in addressing injustices and if she feels that the comment is an injustice then she can assist in correcting a far greater injustice before we look at the perception she has of tiny little one . * This is what we were told apparently the girl at Netsafe got this wrong , if Vivienne had an issue with our references she should have contacted us direct then there would not have been any confusion, instead Vivienne has chosen to take defamation action against us , we cannot change what we were told . We apologise if Vivienne felt uncomfortable with the fact that we posted what we were told . My previous contact with Vivienne had been in 2006 when she phoned me late at night and made threats against my private investigators Licence if we did not change the name of our legally incorporated trust, I felt intimidated as I do now after she made a malicious complaint to the private security licencing authority in 2018 for things which happened 12 years earlier in my private life . When I decided that My licence wasn’t worth the fight Holm took defamation action insead despite an offer being on the table for her being able to seek corrections for anything that she could prove wrong. we stand by the integrity of our investigations and see the defamation proceedings in the same light as the first contact we had with Holm. How could A non existent private law enforcement authority survive for so long? Why condone corruption in Waitakere City? Did David Neutze check the facts before he acted? Is Wyn Hoadley fit to be a Lawyer, A trustee or a councillor? The following is my response to Net safe , The fact that Vivienne and Malcolm North who has been harassing me, both worked at the ministry of social development is a fact that is not lost on me . 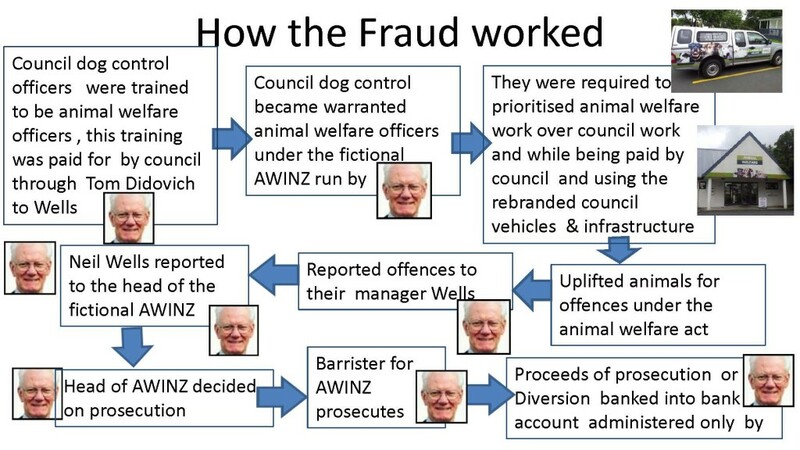 The animal welfare Institute of New Zealand (AWINZ ) had law enforcement powers which it obtained after an application was made to the then minister of agriculture on 22 November 1999 . A blank trust deed had been attached to the application made by Neil Edward wells a barrister . In reality ,No trust existed and no entity existed but the government gave AWINZ wide sweeping law enforcement powers akin to those held by the RNZSPCA, which includes search and seizure and ability to fine people . In March 2006 an employee of Waitakere city council Lynne McDonald ( the bird lady ) approached me with the concern that she, a dog control officer, was required to “ volunteer “ her council paid time to AWINZ and prioritise animal welfare over dog control . The building at the council had been rebranded and Neil wells her council manager from 2005 was the only person operating AWINZ for which he used a logo which was identical to the new branding of the council building . Maf at the time of an audit acknowledged that the two entities appeared to merge and it was difficult to see where one began and the other finished. The council on the other hand denied that AWINZ operated from their premises . This was in reality a massive public fraud using public office for private pecuniary gain. 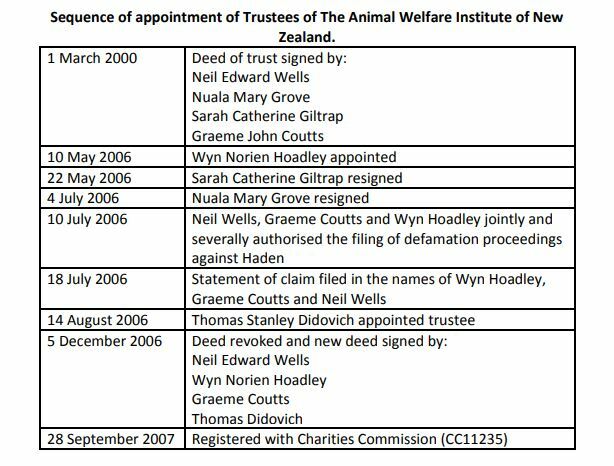 To prove that AWINZ did not exist several of us incorporated the name Animal Welfare institute of New Zealand .It is impossible to incorporate the identical name of an entity, we were successful there by conclusively proving that AWINZ the law enforcement authority did not exist . Vivienne Holm @ Vivienne Parr @ Vivienne Wright Phoned me late at night and made threats against my Private investigators licence and there by my income and livelihood. She demanded that we had to give up the name AWINZ when intimidation did not work Her then husband Nick wright then took over the matter as Vivienne at the time was working as a law clerk . I called at her address to discuss a resolution and was promptly served with a trespass notice. Now it has always puzzled me why a Law clerk was instructed , surely that is not usual and why was her first port of call be an intimidating phone call late on a Friday night .. I thought that a legitmaley instructed person would use more transparent means rather than acting like a thug. After her husband , a resource management lawyer , became involved Threats of legal action were made and out of the blue a trust deed materialised. I was to find that the trust deed dated 1.3.2000 had been signed when the then dog control manager at Waitakere city council, Tom Didovich visited the various people who thought they were trustees. Nick Wright took me to court for defamation , for saying that AWINZ was a sham trust, which it was and has proved to be . The defamation was allegedly of Neil Wells , I was denied the right to a statutory defence of truth and honest opinion and no finding has ever been made that I defamed Neil wells but I had to pay some $100,000 to him and his lawyer all for being a whistle-blower on serious corruption . Nick wright who is reputedly the “Auckland lawyer who had “fallen on hard times”( http://www.stuff.co.nz/national/crime/77079681/auckland-lawyer-awarded-14000-from-police-over-false-arrest-imprisonment) has ceased practicing and Brookfields continued their attack on me, I can only guess that if they had done the decent thing they would have seen some notable lawyers struck off for not checking the facts before filing matters in court and using their office contrary to the provisions of the Lawyers and conveyancers rules . In the process of suing me they used dirty tactics because facts and evidence would not have won it for them . I have reason to believe that that also worked covertly on my marriage and ensured that my 23 years marriage and my family was destroyed. The lawyer who represented me was later found to be incompetent and I very much suspect he was working for the other side . So I lost , no way of winning when you have a lawyer who the law society acknowledged as being incompetent and for whom judges had no respect . All in all this created a massive miscarriage of justice and one which I physically paid out well over $300,000 for and find it impossible to quantify the lost hours of work, health stress etc. 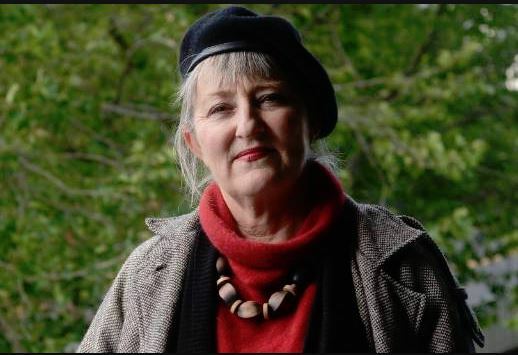 Brookfields, on behalf of whom Vivienne Wright at the time,(previously Vivienne Parr now Vivienne Holm) , took instructions from the fictional AWINZ tried to liquidate my company and succeeded until I found out that they had filed a false affidavit of service and the whole thing was reversed. So now 10 years down the track and after having held many practicing certificates Vivienne wants a different type of practicing certificate because she is going to work for Paul Cavanagh who retired exactly a year ago . I believe that my post is totally accurate and that the fact of the date of her application for a practicing certificate is just a teensy weensy bit trivial compared to the years of suffering which I and my family have had to endure. I cannot understand why she claims that she cannot get a practicing certificate on this occasion , the email you sent is dated 19 September 2016 and states that she has held a practicing certificate from April 2015 to the present . My internet search reveals that Paul Cavanagh QC retired a year ago . She may wish to help address the AWINZ injustice , once that has been sorted I can look at removing / altering blogs . I do find it amusing perhaps coincidental perhaps not , that she was employed by MSD until 25 November where Malcolm North who has been harassing me, by email also works. But getting back to Vivienne I am happy to remove anything minor when a greater injustice has been resolved, she only needs to contact me and help me right the wrongs of the past that she was instrumental in in kicking off . A person with integrity would see that an as officer of the court Vivienne would have an overriding obligation to justice and if she cannot how integrity in putting the past right then she should not be asking me to change factual information . this blog was updated in 2018 when Vivienne made a malicious complaint to the Private security licensing authority about me. she went back 12 years and made all sorts of scurrilous accusations against me. It would appear however that the lady from Net safe got he facts twisted and so what I wrote about vivienne trying to get a new practicing certificate in 2016 was inaccurate. what brought her out of the wood work in 2016 is a mystery she was having a go at me about a 2011 post . More to come on Vivienne the truth has to come out . the point of contention appears to be the statement that she was not working at brookfield and did not hold a current practicing certificate. 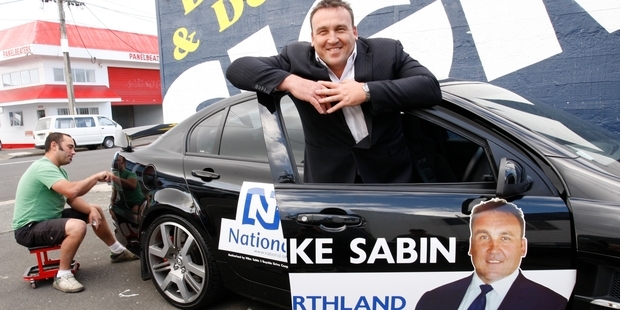 Was Mike Sabin’s disposal of the petition for a commission against corruption lawful ? Sent: Tuesday, 3 February 2015 2:20 p.m. I am a former police officer and now a private Investigator who has found herself at the fore front of corruption In New Zealand because I believed the spin that NZ was corruption free. I thought it was the proper thing to do, to draw attention to the fact that a man had written legislation for his own business plan, advised on it at select committee level and then using a false name applied for the coercive law enforcement powers which he had helped create. The powers were under the animal welfare act and he claimed that he made an application on behalf of a trust called the Animal welfare Institute of New Zealand(AWINZ ) . The trust was fictional, the minister was misled and no one checked that the Animal welfare institute of New Zealand existed. In 2006 a lady working at the Waitakere city council dog control unit asked me if I could find out who or what AWINZ was. 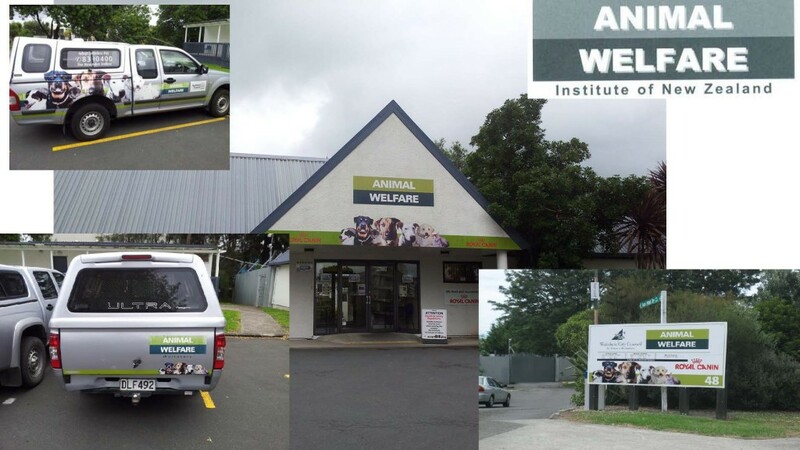 The council vehicles and the buildings had been rebranded to have the appearance of belonging to AWINZ, the council officers were required to Volunteer their council paid time to AWINZ and prioritize animal welfare over dog control . The prosecutions were performed by the council dog control manager who was one and the same as the person who had written the bill which ultimately became foundation for the law. This was a classic case of public office for private pecuniary gain – which is deemed to be corruption by international standards. Through my journey with corruption many people have come to me and have told me of the brick walls which they , like me have encountered. The police say they had no time , the SFO say not serious or complex, the ombudsmen took 2 ½ years to get a document then went quite ,the office of the auditor general total ignored it .. IT HAS NEVER BEEN INDEPENDENTLY INVESTIGATED except by the society for promotion of community standards , who confirmed what I had alleged. In having my petition rejected, I have struck yet another brick wall and again things are done with an appearance of legitimacy but without any real legal foundation and ability. Mike Sabin rejected the evidence of my petition on the basis of standing order 236 b . this quite clearly states that the evidence is considered to be an irrelevant or unjustified allegation can be expunged. It does not state that all of the evidence can be thrown out and indeed there are various issues raised in my evidence not just that of AWINZ . (c) to seeking an order of the House preventing the disclosure of that evidence. It concerns me that Mike SABIN was so actively involved in the removal of this petition and in light of the events of the last week it is entirely possible that a conflict of interest existed. Mr SABIN does not state that the allegations are irrelevant or unjustified , and 236 b clearly states “to expunge that evidence from any transcript of evidence “ this does not give open licence to dispose of all of the evidence. Additionally my evidence does not make it clear that the matter has been” thoroughly investigated” my evidence is that it has never been investigated by the proper authorities . As a former Police officer Mr Sabin is well versed at writing complaints off but this is a matter before parliament , it needs to be dealt with according to the rules and I do not see that 236(b) can have all the evidence expunged. Additionally standing Orders have ways of dealing with evidence which could have impact on persons reputation . I have deliberately not named any one however the evidence in support which were obtained from government and council files show who the players are in the game. The Animal welfare institute of New Zealand does not have legal existence hence does not have any legal rights and therefore cannot have a reputation . It is precisely the use of such fictional personas which makes fraud prevalent in new Zealand , this practice is being condoned and this is exactly why we need a commission against corruption . It is a huge elephant which is being ignored. I request that the committee review the manner in which this petition has been disposed of and ensure that it was done lawfully if they up hold the decision. I am happy to resubmit eh evidence with names removed if that assists . Additionally under the OIA I request the names of those who sat on the committee with Mr SABIN and voted on dumping the petition and writing the letter attached above and the minutes pertaining to this . I will be publishing this letter on www.transparency.net.nz as the public have a right to know . Its time to sort out the confusion with regards to law firms. The law society have a statutory duty to deal with two groups of persons – lawyers and incorporated law firms . The first one is seemingly straight forward a lawyer gets a practicing certificate and is for that year a lawyer and is placed on the law societies register . The law society also provides a page called “Find a Lawyer or Organisation” and by entering a name onto that search field and selecting “organisation” names come up. Basic logic would have you think that the “organisations’ would be incorporated law firms but that is not so. The reality is that the organisation search is grossly deceptive, to such an extent that even the staff administering the register cannot tell you if these ” organisations “are incorporated law firms or not. (1) A person commits an offence who, not being a lawyer or an incorporated law firm,—(a) provides legal services in New Zealand; and(b) describes himself, herself, or itself as—(i) a lawyer; or(ii) a law practitioner; or(iii) a legal practitioner; or(iv) a barrister; or(v) a solicitor; or(vi) a barrister and solicitor; or(vii) an attorney-at-law; or(viii) counsel. does not call itself lawyer, barrister etc as above. It is clear that this section is there for non lawyers who hold themselves out to be lawyers but what if a lawyer is holding a fictional company out to be a law firm. – section 23 does not give much support, it appears to exonerate actions as long as there is a lawyer involved somewhere in the process. But Lawyers have rules too , they are enforced more or less through the law society . However the law society is frequently conflicted in their roles of membership organisation and a disciplinary body. It is after all lawyers controlling their own and this too of deception has been part of a lawyers artillery for centuries so why should they give away a tool of deception ? It suits lawyers and the law society to be vague about law firms as this way they preserve their fidelity fund as no one can bring a claim against a fictional law firm. The rules of conduct are found here You may be wondering why we have brought this issue up .. well it is for very good reason it is one of those twisty nasty tings which makes lawyers always right and you always wrong.. In our opinion it is Identity deception/fraud. Our director engages a lawyer .. she met him in what she believed to be the offices of his law firm Equity law Barristers Limited , he sends away a staff member to complete the contract and a contract emerges in the name of Equity law Chambers . The law practice is referred to as Equity law regularly in correspondence and the current web page at the time shows the People involved with what is referred to as Equity law. Equity Law barristers Limited started its life as Equity law 2007 limited. there are no other companies on the companies register which bear the name “equity law ” and the company now known as Equity law barristers is shown as having been co directed by the the lawyers wife and she also held 50% shareholding of the company up until 16 November 2011 this means that by the legal definition of Incorporated law firm equity law barristers was not and could not have been an incorporated law firm at the time when it agreed , under a trading name to provide me with legal services. Inquiries with the law society have complicated matters further , they tell me that Equity law barristers limited was an ” an incorporated barristers practice ” from November 2008 they will not go so far as to say if it was incorporated law firm and they will not say on what basis it is an incorporated law firm. – vagueness is protecting their fidelity fund. On the other hand the court is very strict on identities a company is a separate legal identity from a person but here were have a situation where a company is using a trading name and the director has now claimed the trading name as his own. The law society in their wisdom made a decision naming the director of Equity law barristers limited and told him to reduce his invoices and refund our director. However he refused we now have a gigantic mess where by the incorporated barristers firm may not have been an incorporated law firm and could not have provided andy legal services, but because there was a lawyer hanging about in the side office it is not an offence. Another point of interest with this law firm is that the shareholder and other director the Lawyers common law wife appears to have had her signature forged. But that wont matter either they will have some explanation for that like a sprained wrist . It appears that the law applies strictly to us and loosely to lawyers .. that has to change. This brings about massive identity issues and made us focus on the organizations which the law society lists. some of the limited liability companies listed do not qualify as Incorporated law firms because of the share holding issue. Solicitors trust accounts which do have lawyers as directors and share holders are not incorporated law firms but would qualify on face value as such . Stewart & Associates Equity Law still appears on the ” organisation list” it is neither a company nor is it a firm as it only has one employee a lawyer who is not capable due to her lack of seniority to practice on her own account. Also look at Brookfields and Brookfields – Wellington branch , who is it a trading name for ? it could be any of these or none. It is time that the law society tidied up their ” find a lawyer data base. we the public should be able to go to the database and identify the law firms and the lawyers practicing in their own name. Vault Compliance Systems- where is its registered office ? Susan Snively of transparency International fame is the chair person of Vault compliance systems . She works along side Victor Cattermole sole director and share holder of the company. Despite this the company registered to 3/38 Clearwater Drive, Belfast, Christchurch, 8011 , New Zealand gives its address on the web site as Level 19, Two International Finance Centre,8 Finance Street,Central, Hong Kong . I personally find that funny as Suzanne used to work for Jarden and co which became credit Suisse. 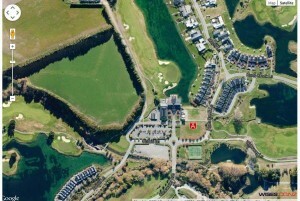 It would appear that Clearwater Avenue is a new development on the golf club Zoodle is the only site which locates it , we still need to check it out perhaps Suzanne can help us out on this one. I find this all very confusing Suzanne do you work from Hong Kong or do you work from Christchurch. what is the registered office of the company and who exactly works in Hong Kong. And what about the transparency of your business partner what standards do you have .. what can we expect? Transparency international New Zealand was funded by the government to do an integrity report on our public service. We found that the finding that we had ” the least corrupt public sector ” came about due to a number of factors. Corruption was not defined or looked at – due to the assumption that as”the least corrupt country ” we must be doing things right . see correspondence with the minister Judith Collins Please provide the evidence to support that New Zealand is the least corrupt country in the world. We repeatedly hear that Shanghai Pengxin has purchased land in New Zealand previously the Crafar farms and now poised to buy the Lochinver Station. It is time that we got our facts right as to who actually owns the property and just a tiny bit of research brings massive concerns. 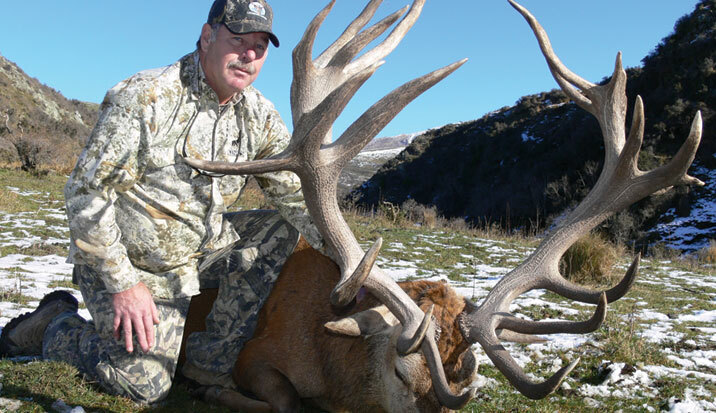 There is however an entity called PENGXIN NEW ZEALAND FARM GROUP LIMITED which owns some 76 titles according to Terranet . PENGXIN NEW ZEALAND FARM GROUP LIMITED has one director, Chinese billionaire Zhaobai JIANG, the company’s sole shareholder is MILK NEW ZEALAND HOLDING LIMITED which in turn is also directed by Mr Jiang. But look at the shareholding of MILK NEW ZEALAND HOLDING LIMITED and it is allegedly owned by Milk New Zealand Investment Limited Suite 1, 139 Vincent Street, Auckland Central. Strangely enough Milk New Zealand investment does not exist on the New Zealand company register. The question is how can a non-existent company make an application to be a shareholder? 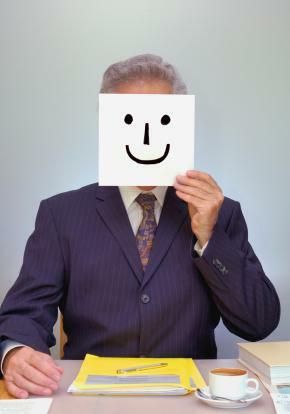 According to the lawyers for the company’s registrar takes applications on face value, this is the reality of the integrity systems which Transparency New Zealand reported on recently . It was these very same integrity systems which Judith Collins attributed to New Zealand being perceived as the least corrupt. Will there be an enquiry into the company structure of PENGXIN NEW ZEALAND FARM GROUP LIMITED ? Grace Haden Independent candidate for Epsom.